The Possibility War continues, in Torg Eternity, as Storm Knights rise to battle High Lord Mobius and his invading legions of shocktroopers. As Ulisses games have launched a Kickstarter for supplements to aid you in expanding your role-playing game experience across the many realms of this scarred and divided Earth, so All Rolled Up have stepped forth to expand your tabletop bling, with a brand new Folding Dice Tray design. 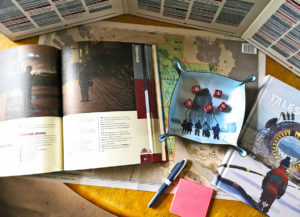 It’s a $100,000 stretch goal to open this item up as a $15 Add-On; the Kickstarter isn’t far off at the time of writing and then everyone will have the opportunity to include this in their pledge. 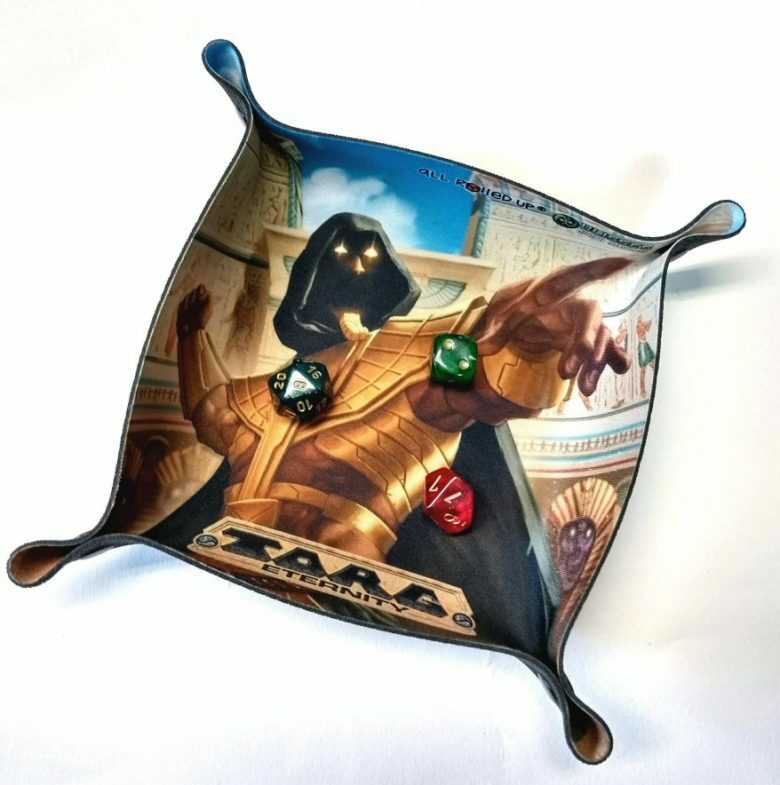 Indeed, if you’re a fan of our dice trays or the design, as an Add-On you can pledge the minimum and still pick up one of these eye-catching designs. 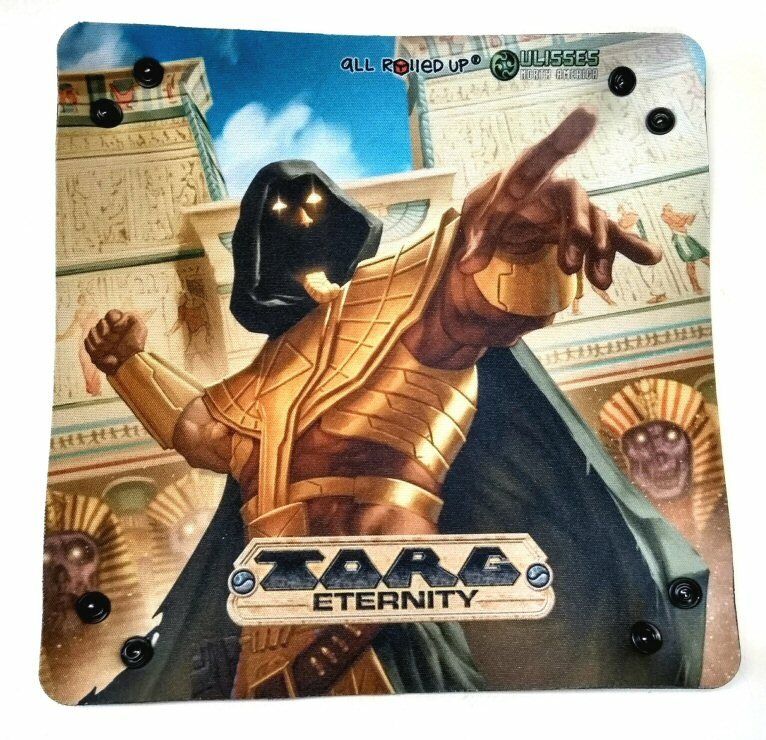 Head over to the Torg Eternity – The Nile Empire Kickstarter now and check it out!